OK, here is something to calm you down. A peaceful sunrise in the FL Keys. This is a 3 exposure HDR. Nik HDR Efex Pro 2 was used for processing. Now let the weekend begin. I miss the beach. I miss watching the sunrise on the water. 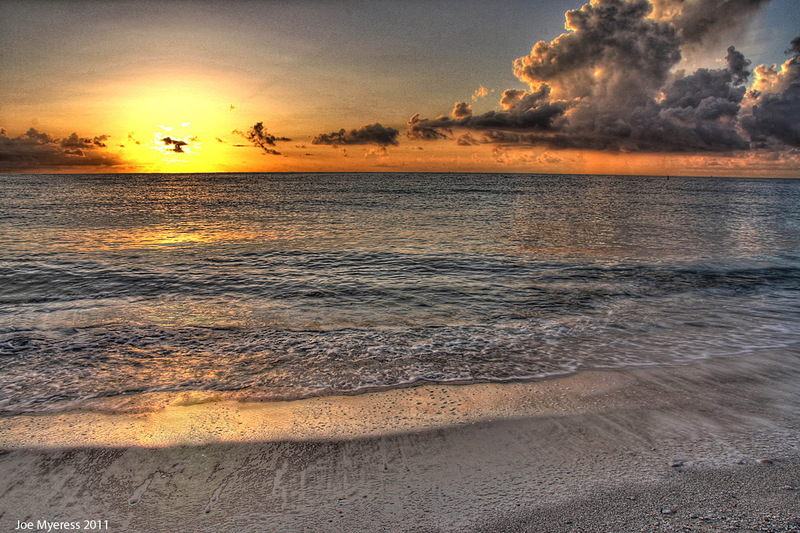 Here is a tone mapped image of Miami Beach, FL. Used Nik Color Efex 4 for processing. 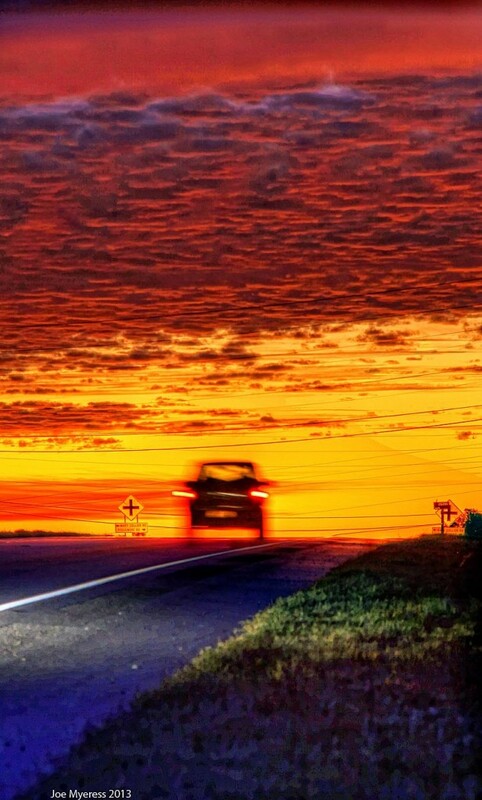 This is a 3 exposure, -2, 0, +2, of a sunrise just north of Athens, GA. I used Nik HDR Efex Pro 2 for post processing. I love the way the colors turned out. What do you think? 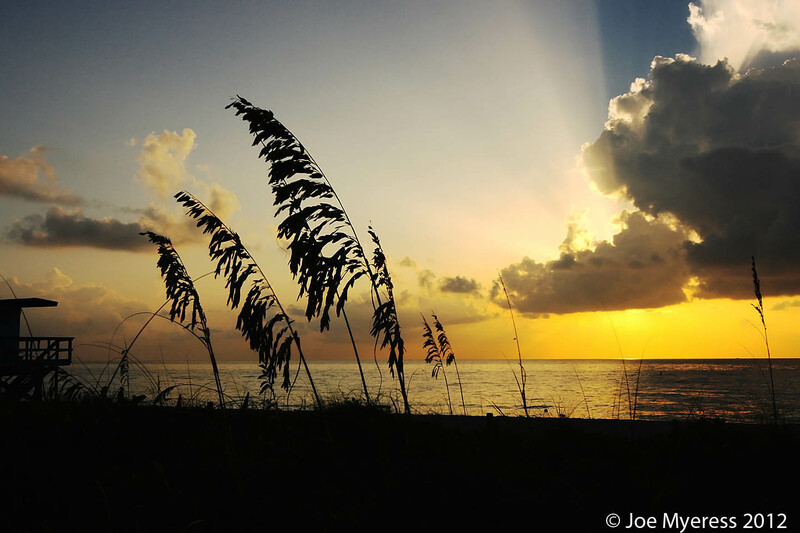 Here is an image I took at the Matheson Hammock Park just south of Miami, FL. 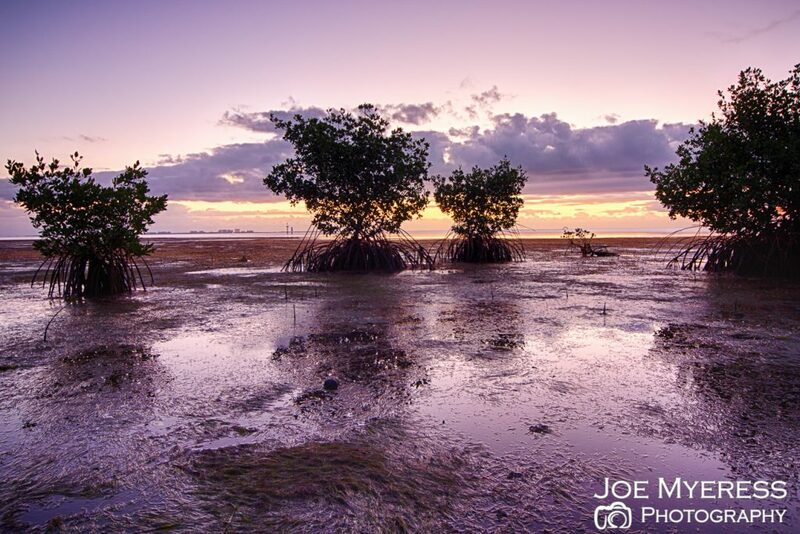 These are mangrove trees at low tide. Within an hour the water level was at 12″. Image was processed in ACR and then in OnOne Suite 7 to add more detail in foreground. I was up early taking some sunrise pictures. 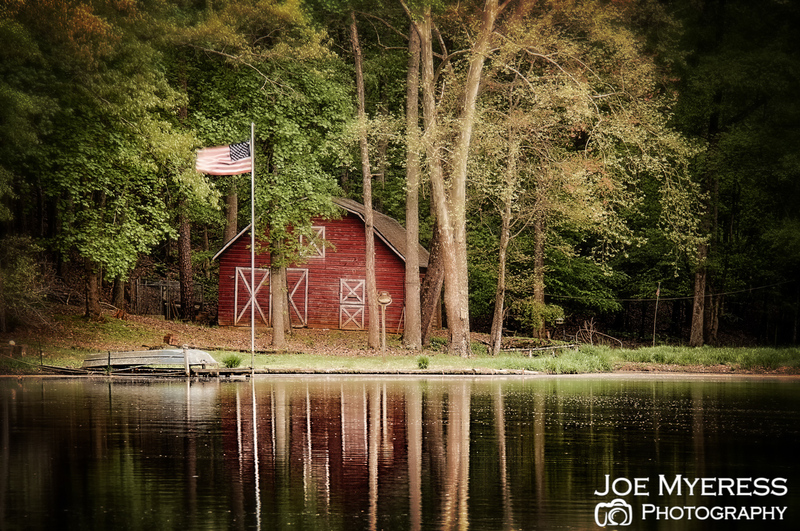 Here is a barn on a small pond in our neighborhood. This was a 1 second exposure to give it a little glow. I need to go back to the beach. 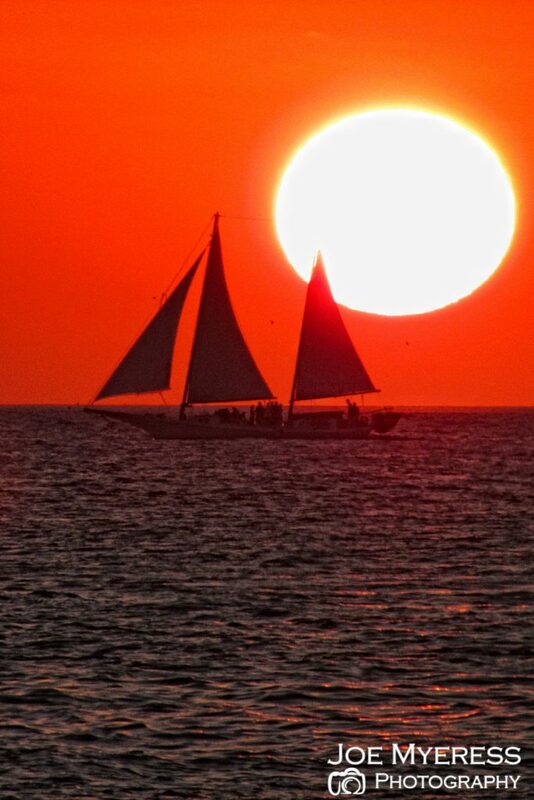 This was taken from Mallory Square in Key West, FL. Watched this beautiful sunset with my wife and brother. Good times. Here is a sunrise from Miami Beach. 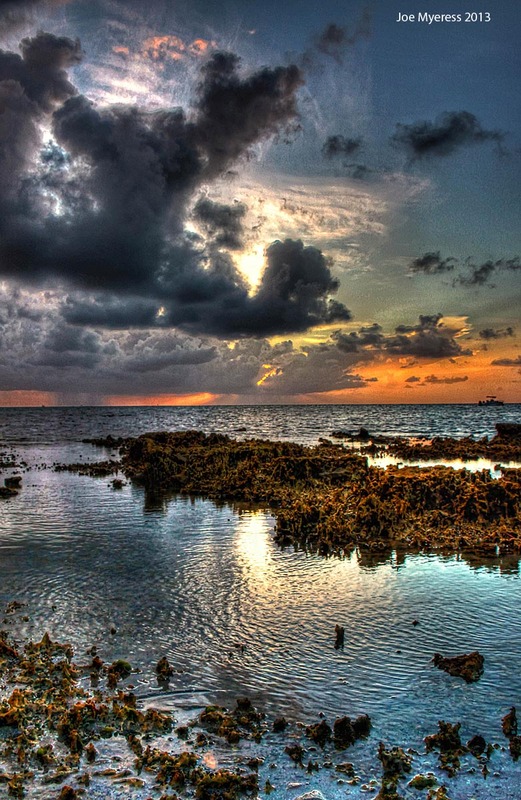 This is a HDR image. I used NIK software to process. I like the added grain in the sand and water. Makes me think warm. Still cold in GA today. I need to think of something warm. hmmmm I remember when I took this image. It was at sunrise on South Beach in Miami. Warm morning. Great sunrise. I know I’m a little late for this but was on a long vacation. 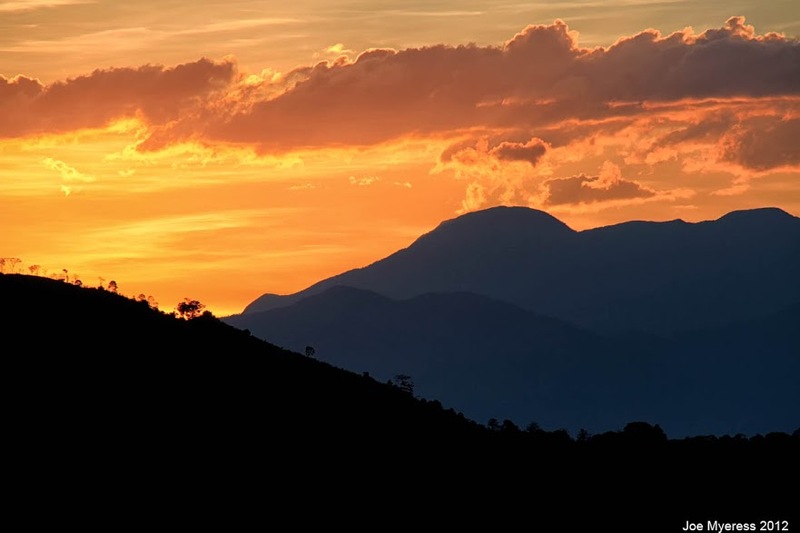 This is the last sunset of 2012 as seen at my in-laws coffee farm in the hills of Medellin, Colombia, South America. Just beautiful scenery. I have lots of images I’ll be adding now I’m back in the USA. 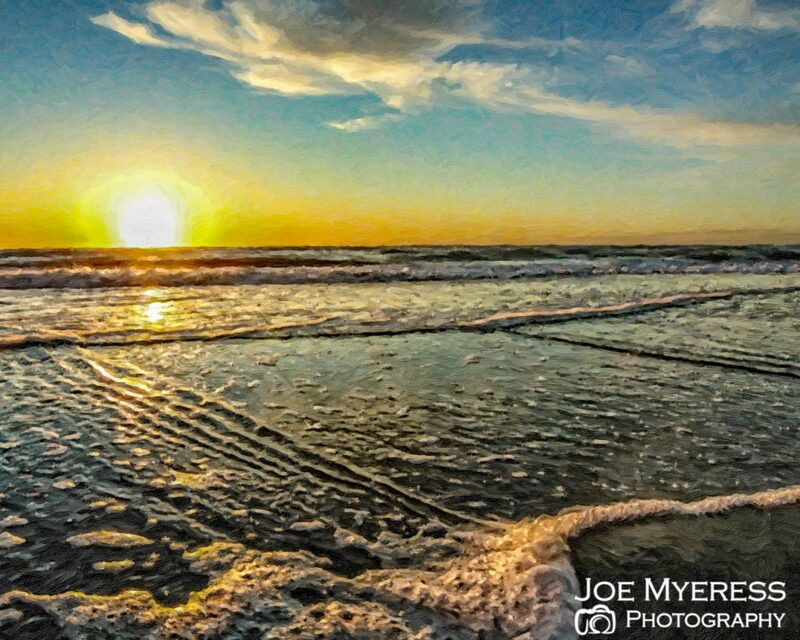 This is a 3 exposure HDR image. 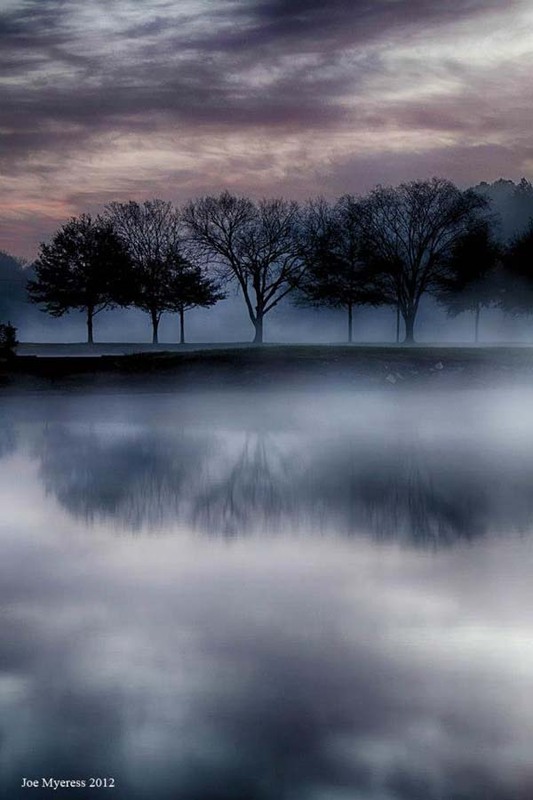 The fog was heavy this morning and I think it made for a great mood in the image.